A serious manual of "mass instruction"for everyone everywhere! 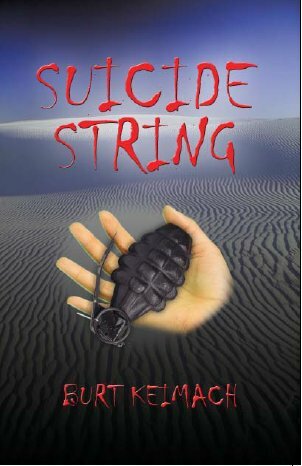 What can happen in the wake of 9/11 when suicide bombers run wild. A rivetting tale with a gasping end. Where will you and your loved ones be when the next "martyr" decides to divide himself into thousands of pieces? THE DANGER IS FOREVER! MISS IT AT YOUR PERIL! In the wake of '9/11', suicide bombers still believe fervently that they will enter Paradise by ending their earthly lives and killing 'infidels'. The story outlines the young life of a member of a Hamas Battle Cell. It precisely details the deeply religious and historical rationale for his creed, going back to the time of the infamous hashish-driven 'Assassins' of early Islam, and leading him eventually to the target in the US that is his objective. Paralleling the sinister activities of the terrorists, is a world famous Israeli Professor of History and Politics who travels to the US where he becomes the unwitting focus of interest for the Battle Cell. Linked to the Professor are his old friend and antagonist, the Prime Minister of Israel, members of the Mosad, Israeli students in the US, and the intrepid investigators of the FBI. Through the Professor, and the other protagonists, the roots of the Israeli-Arab impasse, and the personal agonies on both sides of a tragic divide, are examined. The story takes on aspects of a thriller as suspicions mount, and law enforcement agencies in America begin to zero in on the cell. The conclusion, like the turmoil in the Middle East, leaves the world gasping. Click on bookseller in left column.